Home > News > Lights, Camera, Action! The film charts the capture of water voles on the North Yorkshire Moors by 20 pupils from Terrington Hall School in York and their transfer to the Derek Gow Consultancy in Devon for captive breeding, filmed by 20 pupils from St David’s School in Devon. The ‘Restoring Ratty’ Project, delivered by Northumberland Wildlife Trust, Forestry Commission and Tyne Rivers Trust is funded by National Lottery players through a grant of £421,000 from the Heritage Lottery Fund (HLF), and run from Kielder Castle. The film can be viewed on the project’s Restoring Ratty Facebook page and on YouTube at https://youtu.be/uLoJuyc-f4Q. 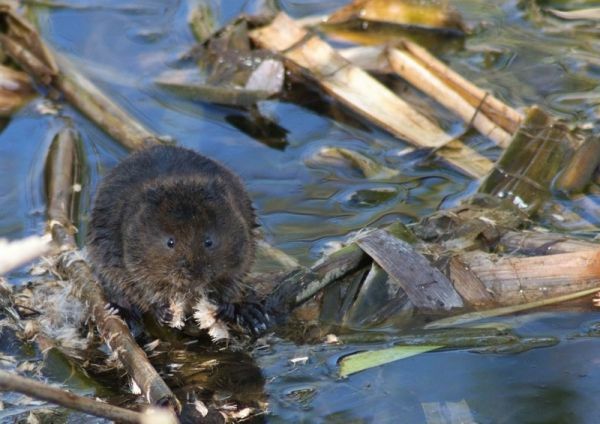 Water vole image by: Andrew Ramsay.